Siemens has been a well-known name in the tech-sphere for years. However, most people still know it as a manufacturer of the traditional DECT home phones. Very few of know that the company released 3 smartphones as Gigaset ME series at IFA 2015. 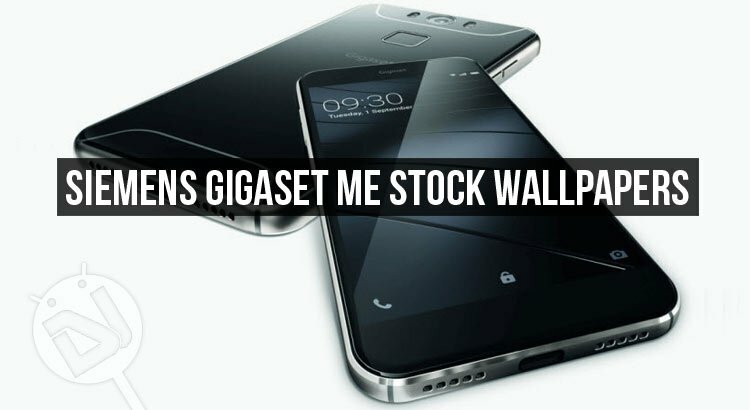 All three phones by the German company, namely the Gigaset ME, ME Pro and ME Pure are beautifully designed and decently specced and today, we have the Siemens Gigaset ME stock wallpapers for you to share. Gigaset ME, ME Pro and ME Pure come with 21 wallpapers all of which are in full HD quality. The resolution of the wallpapers is 1080 x 1920 px. The size of the wallpaper pack is about 30 MB. At DroidViews, we have a huge collection of high-quality stock wallpapers from all well and less-known smartphones, so do not forget to visit our Wallpaper Section to download more wallpapers. Additionally, I have linked some cool stock wallpaper sets below, do take a look!